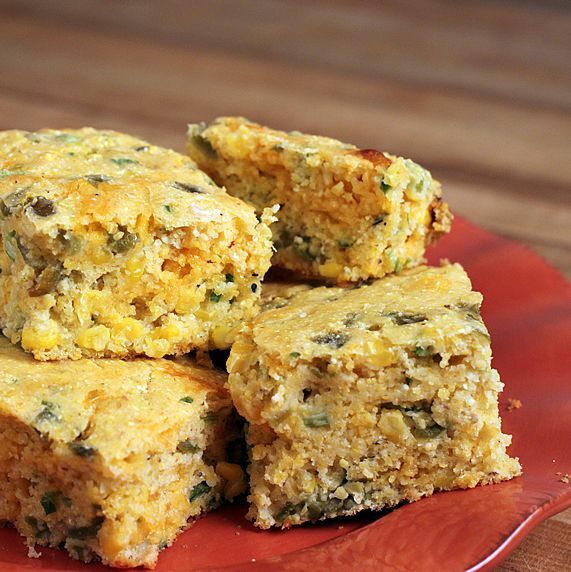 Chiles, corn, and sharp cheddar cheese, make this a flavorful recipe with the wholesome goodness of stone ground cornmeal. Great with chili & soup. 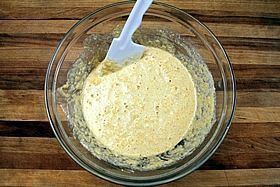 --Combine cornmeal, flour, baking powder, salt, cumin and black pepper in large bowl (plus buttermilk powder if you're using it--see * below). Whisk together. 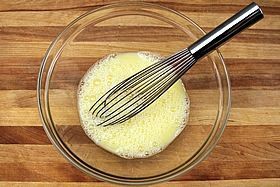 --In separate bowl, whisk the egg, buttermilk (or water--see * below), and honey together. 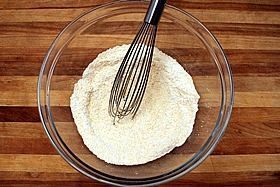 Add egg mixture to dry ingredients. Stir until just mixed--don't over mix. 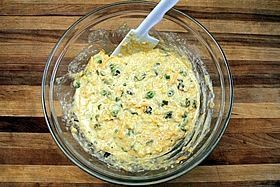 --Add onion, corn, jalapeno, green chiles, and cheese; fold into batter until mixed. Remove hot pan from oven and pour batter into it. Spread evenly and bake for 25-30 minutes (18-20 min. for 12" cast iron skillet and muffins) until golden and a toothpick inserted in center comes out clean. Let cool in pan for at least 15 minutes so it firms up for easier cutting and serving. 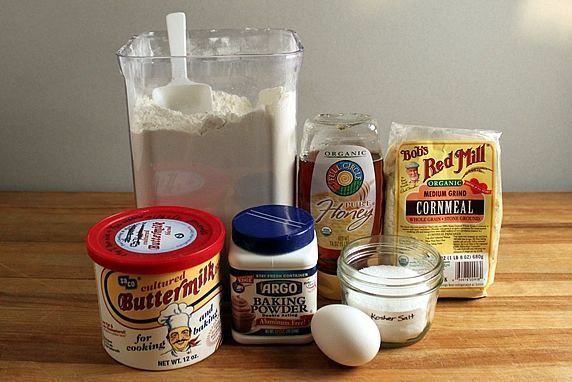 --4 tablespoons + 1 teaspoon dry buttermilk powder. 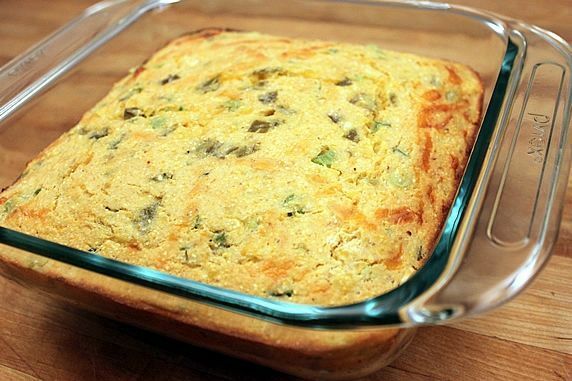 In a recent post, I shared my recipe for Classic Buttermilk Cornbread. 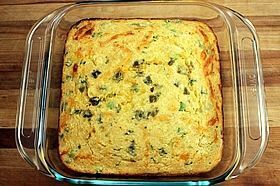 That recipe is good to eat just as it is, but it also can be a starting point for making flavored cornbreads. That's what I've done here--taken my original cornbread recipe and jazzed it up with some Southwest flavors. 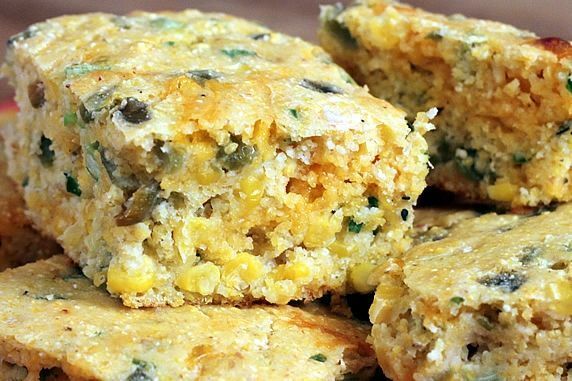 The cheese, corn, jalapenos, green chiles, and onions make this an entirely different cornbread. It's great to serve with soup, chili, or salad. Step 1: Assemble the ingredients. 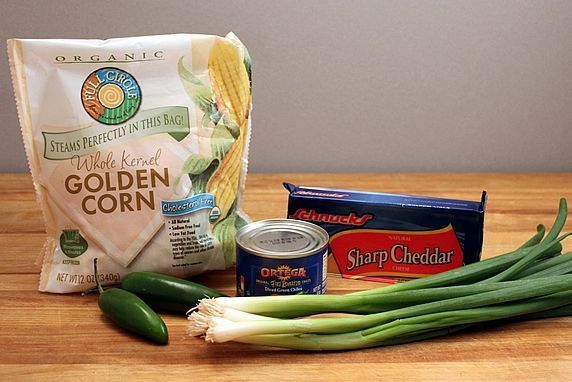 These are the basic ingredients used in my Classic Buttermilk Cornbread recipe. Flour (you can substitute whole wheat pastry flour for half of the white flour, if you wish), stoneground cornmeal (I use medium grind), baking powder, kosher salt, cumin & black pepper (not pictured), honey, and buttermilk (I often use the convenient buttermilk powder, but you can also use fresh). There is just enough honey in this recipe to give it a hint of sweetness, but it can be omitted altogether if you prefer. Step 2: Whisk the dry ingredients together in a large bowl. Step 3: Whisk the wet ingredients together in a separate medium bowl. Step 4: Pour the wet ingredients into the dry ingredients. Stir them just until they're combined--don't over mix. Step 6: Stir just until everything is combined. Step 7: Pour into a greased 8x8 pan and bake. Done! Let it cool in the pan for at least 15 minutes before you cut it. This is so delicious with chili. Or soup. Or salad. Or all by itself. 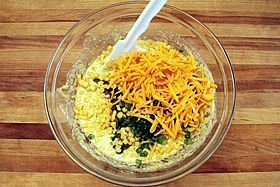 Try it with my Baked (or Mashed) Potato Soup--they're a perfect combo.